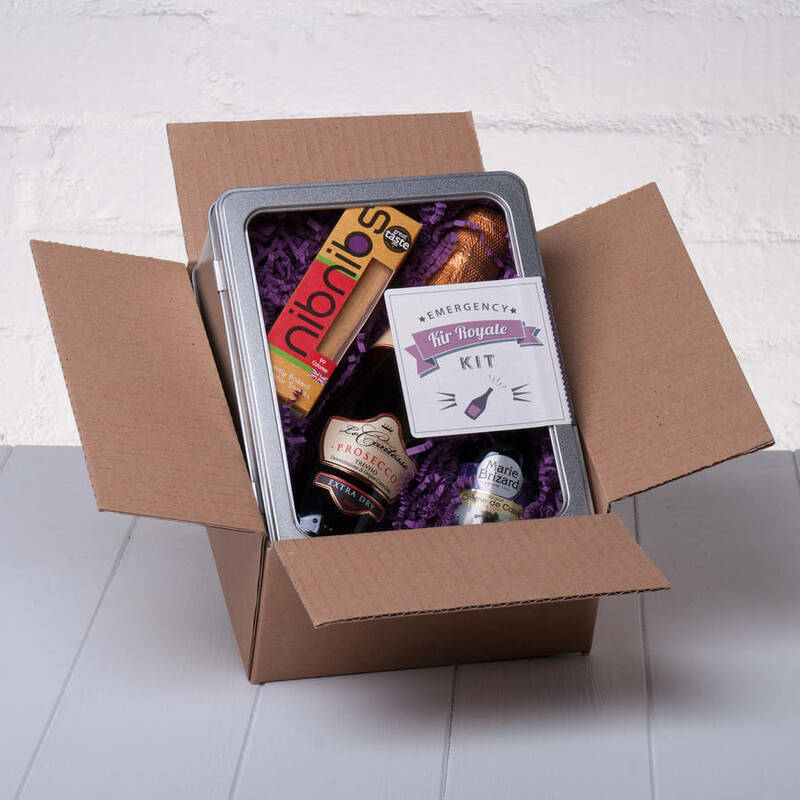 One of the world's best loved classic cocktails in kit form, picture the moment when they open the kit and pour a Kir Royale! 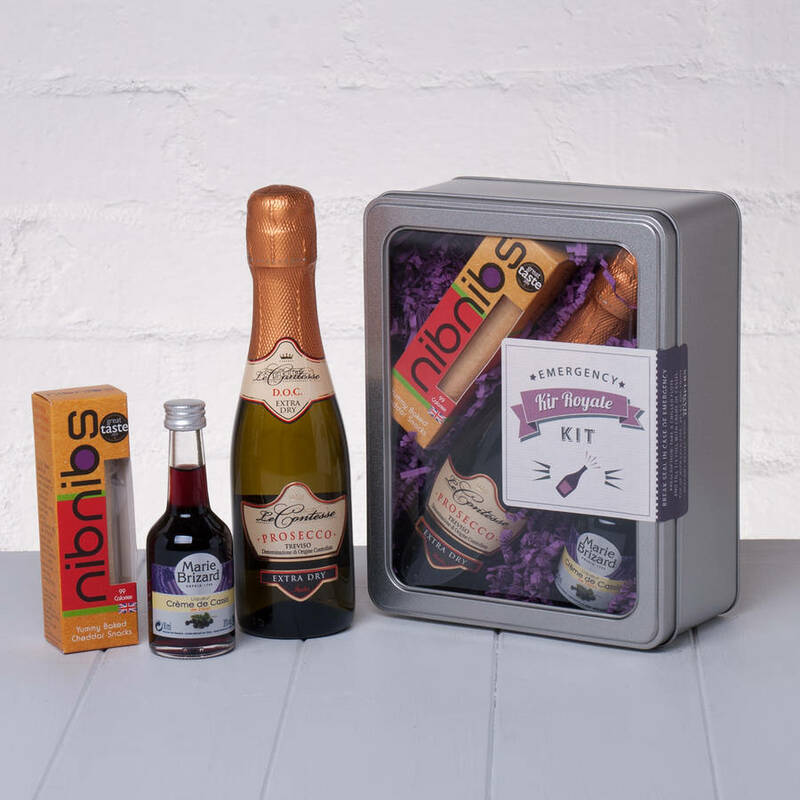 The Kir Royale is the ideal sophisticated cocktail and best in this handy kit form ready to enjoy, break the seal and in a moment you can be enjoying the classic cocktail with nibbles to make your very own personal cocktail moment. 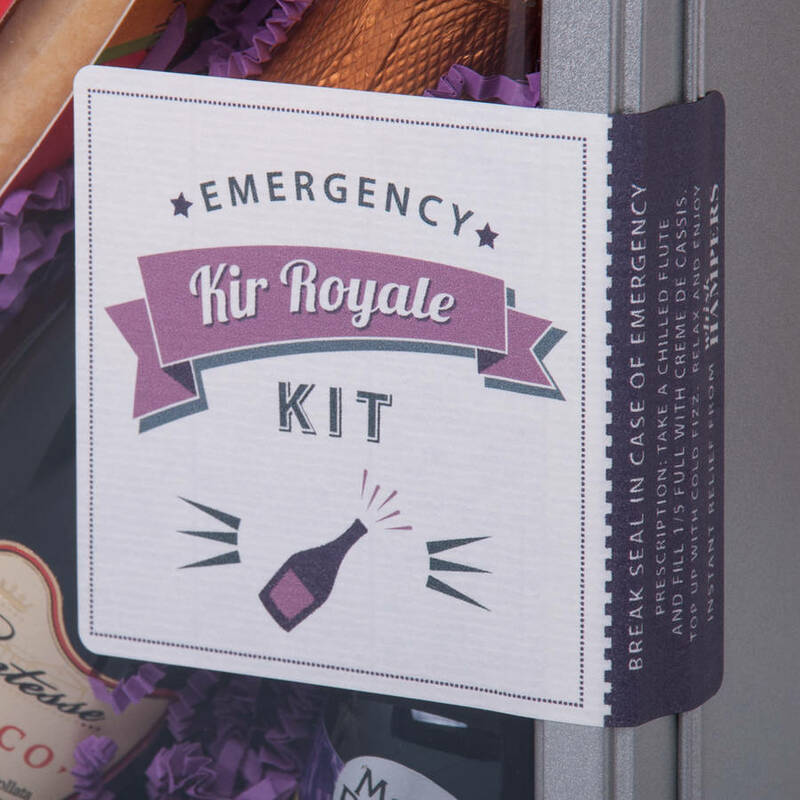 Our Emergency Kir Royale Kit brings the stylish cocktail to you, an original fun present that will make your recipient (or as a superb treat for yourself!) smile when they break the seal. A great gift for a friend or family member's Birthday and a fun present for a Hen & Stag Do party or a perfect way to say 'I'm thinking of you'. 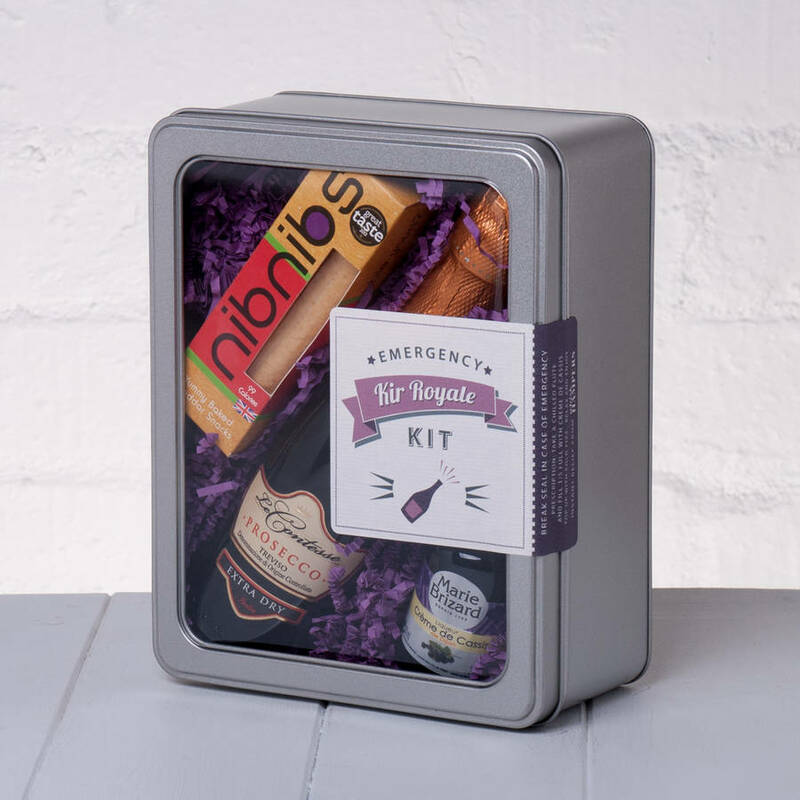 We have brought together the classic French Cassis from Dijon and Le Contesse Prosecco (20cl) to craft your perfect Kir Royale matched with the NibNib Cheddar Straws for nibbles it is the best and most luxurious way to cope with an emergency! Who needs to panic when you have one of these kits in hand. Packed carefully into a sleek metal tin (with a clear window to show off the contents), lined with blue shred and completed with a 'Break Seal in Case of Emergency' label. You can even add a personal message and specify delivery direct to the lucky recipient.